Margin Films is excited to summon the first trailer for Quentin Lee's The Unbidden. 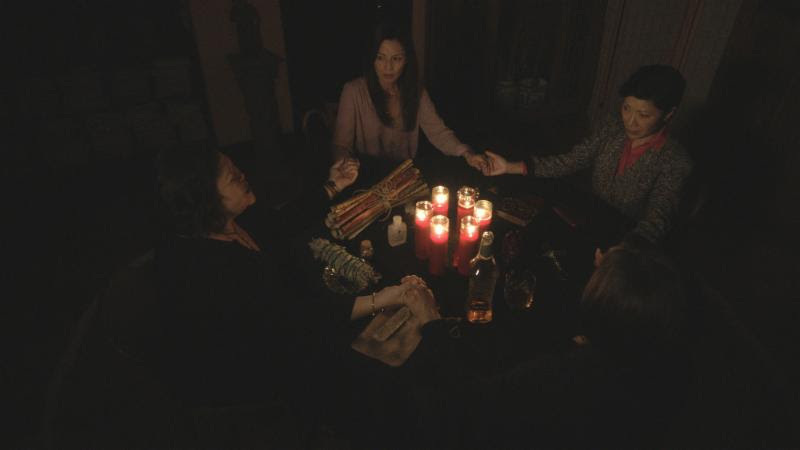 A quartet of longtime girlfriends come together in the hopes that a séance will protect them from a dark presence that won't rest until one of them is destroyed. Quentin Lee (White Frog, The People I've Slept With) directed from a script by Narhee Ahn (Purity). Tamlyn Tomita ("Teen Wolf", The Joy Luck Club), Julia Nickson (Rambo: First Blood Part II, Half-Life), Amy Hill (50 First Dates, "UnREAL") and Elizabeth Sung (Memoirs of a Geisha, Lethal Weapon 4) star as the group of friends desperate to save one of their own from her dark secret. Michelle Krusiec, Akemi Look, Kimberly-Rose Wolter and Karin Anna Cheung appear as the women's younger selves, joined by Hayden Szeto and Jason Yee as the men at the heart of the deadly mystery. Mystery novelist Lauren Lee (Tomita) is haunted by the ghost of a tortured, bloodied man. She tries to forget the apparition's terrifying warnings and her unstable mental state by hosting dinner with her best friends (Nickson, Sung and Hill). Each of the women has her own idea and opinion to make Lauren feel better. In the midst of a séance that Rachel believes will exorcise Lauren's demons, a mysterious young man (Szeto) arrives brandishing a gun. He holds the women hostage in order to get to the truth of the whereabouts of his missing father. 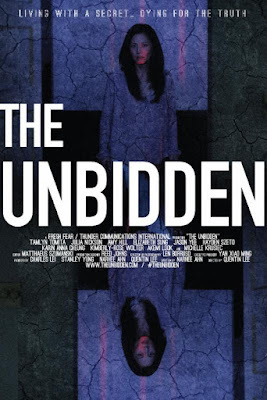 Let us know your thoughts on this supernatural thriller.